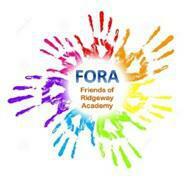 FORA is the PTA for Ridgeway Primary Academy who run events and activities throughout the year to raise much needed funds for our school. Everyone is welcome to join and any help no matter how big or small is really appreciated. As you can see the money makes a huge difference to the children's time at school. We couldn't do this without the volunteers who make up FORA and we're always looking for more people to help. If you would like to help, please come along to the Annual General Meeting (AGM) on Thursday 27th September 2018 at 8pm or get in touch with your class representative.